EU counter-terrorism coordinator Gilles de Kerchove told EU interior ministers on Friday December 9 that experts have found 1,750 ISIS jihadists have come back to Europe to perform terrorist attacks. 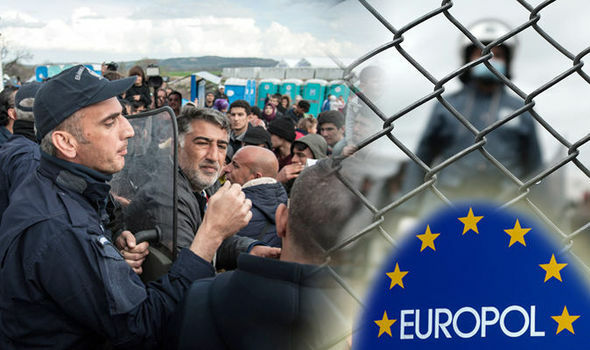 According to the Greek released survey, the inhuman conditions in which refugees find themselves trapped in Greek hotspots and refugee camps, desperately trying to follow their dream to cross the EU borders, provide fertile ground for jihadists to develop their radical ideas. Greek Intelligence Information published in the Newspaper Vima revealed in the mid of November that recruitments of jihadists have been allegedly made in Greece through a chat room on Paltalk website. ISIS members living in Norway, but also in Italy have played central role on recruitments of unknown still numbers, of whose many have been often and for certain periods of time keeping their presence in Greece.. The issue of jihadist recruitment in Greece became known for the first time in November 2015, and several months after. interntional investigation led to the arrest of 13 people in Italy, Britain and Norway. Executives of the Greek authorities have been expressing fears for possible activation of 150 fanatical Islamists trained in Kosovo and Bosnia. Terror networks such as the Islamic State group are evolving their tactics to attack soft targets in Europe, which could see the use of deadly car bombs,Europol warned on Friday, December 2, 2016, just a week before the fatal explosion, not in EU country ironically, but in Turkey. Two more of the leading members of the network, Ali Ampontoulach Salih and Abdul Tachman Nouroz had come to Greece from Italy. Another dangerous jihadist, who was arrested a few months ago in Brussels, had crossed Aegean from Turkey to the Greek Leros island. in September 2015 to travel to Europe. The Belgian authorities arrested him along with Mohamed abrin, considered that participated in the deadliest attack in Paris. and Osama Kragiem, accused of having participated in the massacre of Brussels came to Europe from Leros and then travelled to Austria, Germany and then to Belgium. According to estimates of the officilal investigations, dozens of ISIS members have passed through Greece to Europe. According to the documents in the hands of Kathimerini, the 20-year-old Zaid Koulliss, born in Utrecht, was member of the group who organized the bloody attacks in Paris and Brussels. On October 30, 2014 he was checked by Greek police in Thessaloniki and was arrested for not having travel documents. A few days earlier he had bought a bus ticket online from Munich to Trikala, in central Greece. According to the Belgian authorities, Kragiem used the Naim Al Hamed name and is considered particularly dangerous. It is investigated if he accompanied the bomber Khalid Bakraoui in the deadly metro attack. The authorities consider that Kragem was accompanied in Leros by another man named Monir Ahmed Allatz in September 2015. They then traveled through Austria to reach the refugee center in Ulm, Germany. Kragem lived in Malmo, Sweden, and was known in counterterrorism bureau of the country, the Swedish expert on terrorism, Magnus Ranstorp told CNN. Previously he had published on the internet photos with automatic weapons from the territory of Syria. 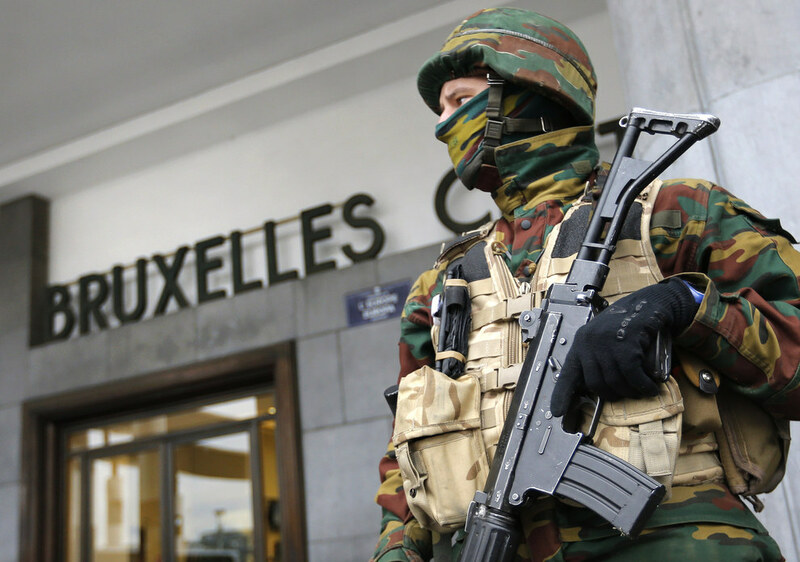 According to Le Monde, DNA of 28 year old jihadists had been found in the apartment from which the three bombers of the Brussels airport had departed . The bomber of the Brussels metro, Khalid el Bakraoui was found in the summer of 2015 in Athens. The network Sky Italia reported that on July 23, 2015, the Khalid el Bakraoui, arrived at the airport of the Italian city of Treviso with Ryanair's flight company, coming from Brussels. The next day at 6 in the morning, he boarded from Marco Polo Airport in Venice the Volotea flight to Athens, according to the Athens Press Agency. Moreover, according to the also Italian La Republica newspaper a few days later he arrived in Greece via Italy and Salah Abdeslam, who was actively involved in the attacks in Paris and detained by the Belgian authorities. The Europol estimates at 3-5000 European nationals who have joined the ranks of the Islamic caliphate. The ring of truck thieves that was dismantled in Athens in Oct 13, 2016 was selling auto parts to Islamic State and African militia groups, Greek police says. The disclosure that parts from the stolen vehicles were cut in an Aspropyrgos scrapyard then were secretly shipped to northern Africa, sounded the alarm of western secret services. The parts were put in containers and were sent to Yemen and Libya, where ISIS forces operate. It is suspected that from there they were sent to Syria. The ring leaders were a man from Somalia and a Cameroon native. A Greek man who was known for his affiliation with anarchist groups in the 1990s was also involved in the gang operations. As soon as Greek authorities discovered the route of the stolen parts, they notified the National Intelligence Service (EYP). Western secret services were notified as well. Investigating the bank accounts of the two African men, EYP found that large amounts of money from Yemen, Libya and other Middle Eastern countries were transferred. Western intelligence services confirmed that the Islamic State pays hundreds of thousands of dollars for a container full of vehicle parts. Europol secret services across EU countries would dispatch 200 officers to Greece from September 2016 on, in order to detect possible extremist islamic factions of ISIS operating at refugee hotspots. The operation, referred to in an interview by Europol Director Rob Wainwright with UK newspaper Evening Standard, is in response to information that the Islamic State is planning to send militants to EU countries for retaliative action against its defeats in Syria. The article, titled “Revealed: ISIS Sends New Waves of Jihadis to Attack Europe”, points to reports that ISIS extremists have been planning “impressive” attacks in the EU The attacks were expected to be similar to those already carried out in Paris and in Brussels. “The officers will be deployed to the Greek islands, maybe in Italy. There will be a second line of defense. We hope to assign some officers in the refugee and migrant reception centers as we are concerned about reports that these hotspots are targets for efforts to radicalize migrants,” he said. Wainwright points to a large number of jihadists already holding fake EU passports when traveling from Syyria to Europe. He says that in Greece, there are members of the group at hotspots and there are fears that new members will be recruited there. Turkish secret services have been asked to assist EU intelligence in weeding out extremists involved in the radicalization of refugees at reception centers. It is believed that there are currently around 50 operations aiming to tackle terrorism in Europe at the moment. Fake Passports Found at Refugee Camps in Greece Connected to ISIS in Aug 22, 2016 according to officials from Europol who said fake passports destined for the terror group Islamic State in Iraq and the Levant (ISIS or ISIL) have been discovered at refugee camps in Greece, as a part of a larger investigation looking into the trafficking of fake documents for ISIS in Iraq, Syria, Greece and Austria. Italian newspaper added that it has been a growing concern of Europol the fact that the terrorist group was shown to use Greece as an entry point from Syria and Iraq into the EU by smuggling in terrorists amidst scores of refugees by providing them with fake Syrian passports. With these fake passports the disguised ISIS members then are able to seek asylum in other EU countries, with the potential to become partof a terror cell or act alone as a lone wolf in acts of terror.